June Workshop – Register Now! Registration Fee includes lunch and workshop materials, which will be made available here the week before the workshop. See the workshop Flyer and Agenda for more information. To register, fill out the Online Form and follow the instructions to pay through PayPal. 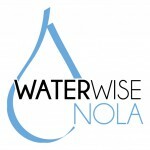 If you have any questions, please email louisianastormwater@gmail.com.